As its name implies, Pinterest is a place where one can pin ("Pin") content according to its interests ("Interest"). It resembles a catalog of visual content, where you can save links and arrange them into several boards. It has more than 200 million users. Although it is remarkably effective in some areas, Pinterest is not for all businesses. It is a genuinely interesting social network for all those who work in a visual or creative field. So, if you work in arts, design, interior design, food or aesthetics, Pinterest is perfect for you! It should also be noted that 85% of Pinterest users are women. If that happens to be your target audience, Pinterest is ideal to connect with them. Initially, you must create a business account. To ensure good continuity in your branding, the page name must match your other pages on social networks, and your profile image must be your logo. Then fill out the "About" section with a concise description of your company. Then, you must create boards. Pinterest boards represent categories of pins that one can find on your profile. Once they are created, you can start adding pins in them. Start by adding a few boards linked to your business. For example, a hairdresser can create a board for hairstyles inspiration, one for coloring and one for before/after photos. It is also possible to add some at any time. Once you have a couple of boards, it's time to pin. You have two choices: either you add your own pins or you re-pin others. Ideally, you must do both. To create your own pins, you can add content directly from your computer or from a website. To add content from your computer, simply select the image you want to post, type a link and a brief description before you add it to the desired board. Otherwise, to post content from a website, type the link of the page, select the desired image for the pin and voila! To get an effective pin, it's relatively simple, all you need is an attractive visual, with vivid colors and little text. By browsing on the site, you quickly recognize the style of images that work well. Your image should be vertical, with a ratio of about 2:3, and an ideal width of 600px.To create Pinterest-friendly visuals, you can use Canva, which allows you to create stunning visuals in just a few clicks. 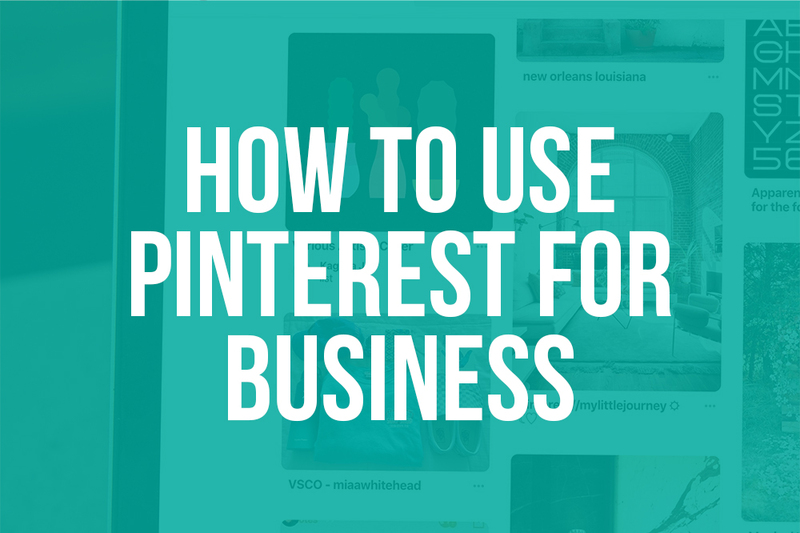 Another benefit of Pinterest for Business is it allows you to create rich pins. There are four types of rich pins: Applications, Recipes, Products or Articles. To add them, you must first fill in the metadata of the page you want to post. Then you enter the URL of the desired page and confirm the pin information. Another way to use Pinterest is to re-pin existing content that you think is relevant to your boards. By doing this, you are more active on the media and your subscribers are going to see your account more often in their newsfeed. You are also considered more relevant in the Pinterest algorithm. An efficient use of Pinterest can be immensely beneficial if your field of activity allows it. Increased traffic to your site: First, through links, you can direct your visitors to your site, and thus significantly increase your traffic. Improved SEO: The links from Pinterest are considered relevant in Google's algorithm. This has a favorable effect on the natural SEO of your website. Increased sales: Enriched pins allow visitors to purchase your products directly from Pinterest. Therefore, it's a convenient way to increase your sales! So, what are you waiting for? Now that you have all the tools you need, all there's left to do is pin!